Do you need a ceiling fan and an air conditioner in every room? Is it more cost effective to get one and not the other? Which is better for your home’s usage? We answer these questions and pit the ceiling fan against the air conditioner to discover their pros and cons. 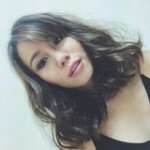 During a heatwave, the average Malaysian home can record temperatures up to 40°C. The heat isn’t even the worst part of our perpetual summer, it’s the sticky humidity. While air conditioners are a staple in most homes, the ceiling fan is an excellent contender for cooling the home, and in so many ways, a better investment. Read this breakdown of the pros and cons of these cooling solutions before purchasing your white goods. Air conditioners reduce the temperature of a room, effectively cooling you down. Ceiling fans, on the other hand, don’t reduce temperatures. Instead, they circulate hot air up and cool air down. While this makes you feel cooler, the downside is, very high temperatures will still feel hot to you. On the other hand, air conditioners provide cool air that is stagnant and dry. You might have noticed that when you stay in air-conditioned rooms for too long, your skin dries out. The winner: Both! Air conditioners and ceiling fans are complementary. While air conditioners can quickly cool down a room, ceiling fans can circulate cool air to improve comfort levels. In fact, you can switch on your air conditioner for a couple of hours, then once the temperature has dropped, use a ceiling fan to continue circulating the cool air. The combination of both cooling methods will give you cool air that isn’t too dry. 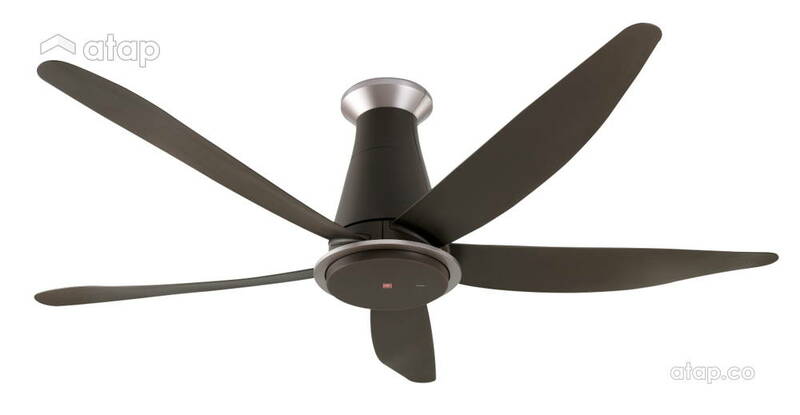 Ceiling fans use low-wattage motors that consume little electricity. This is especially true for a Direct-Current (DC) motor which uses less than a third of the energy consumed by an Alternating-Current (AC) motor. This not only saves energy and money on electricity bills, it also means quieter fan usage and more speed options. The KDK Kaze fan, for example, is equipped with DC motor and 9 speed options. Air conditioners, on the other hand, use a lot more electricity. This article calculated the costs of fan and air conditioner usage at the rate of 8 hours a day. The air conditioning bill came up to more than 23 times of the fan bill. In fact, the KDK Kaze fan’s yearly energy consumption is estimated at only RM113. The winner: Ceiling fans, hands down. 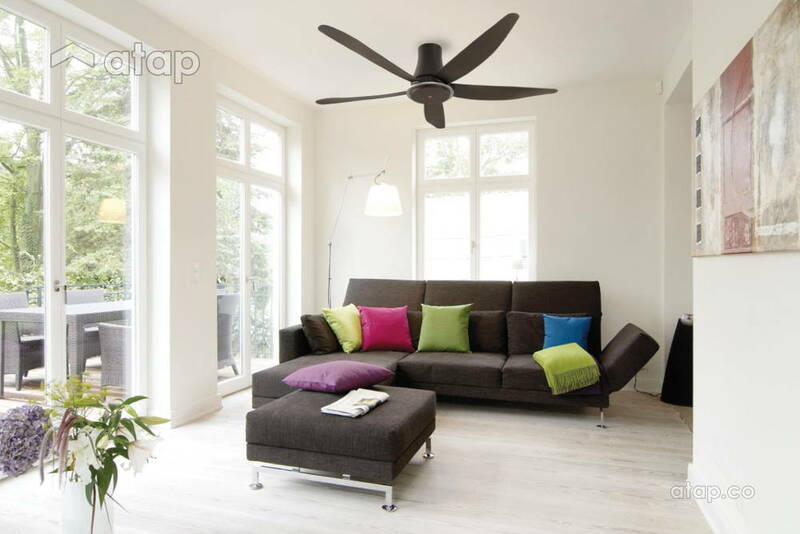 If you’re using the air conditioner first, ceiling fan next trick (see ‘Cool Factor’ above) try the KDK Kaze fan. It has a 2 – 8 hours sleep mode and 1 – 8 hours ON/OFF timer so you can set it to switch on when your air conditioner is timed to turn off. A superior ceiling fan model like the KDK Kaze costs about RM700 while a premium air conditioner might set you back up to RM3000. Besides the initial purchase cost, there’s also cleaning cost. Regular cleaning is important to maintain the efficiency of both appliances. While you can easily grab a duster and a ladder to clean your ceiling fan, air conditioner cleaning is more complicated than that. Basic cleaning costs start at RM50 and thorough cleaning can cost between RM100 – RM600. Air conditioners usually run on a soft hum that’s virtually silent. Meanwhile, ceiling fans emit louder sounds from the spinning blades and rotating mechanism. Having said that, newer ceiling fan model, especially with a DC motor tend to run quietly. The winner: Air conditioners and ceiling fans with DC motor. Newer air conditioner models look a lot better than their retro counterparts, and they’re mostly designed to blend in (e.g. white models against white walls). 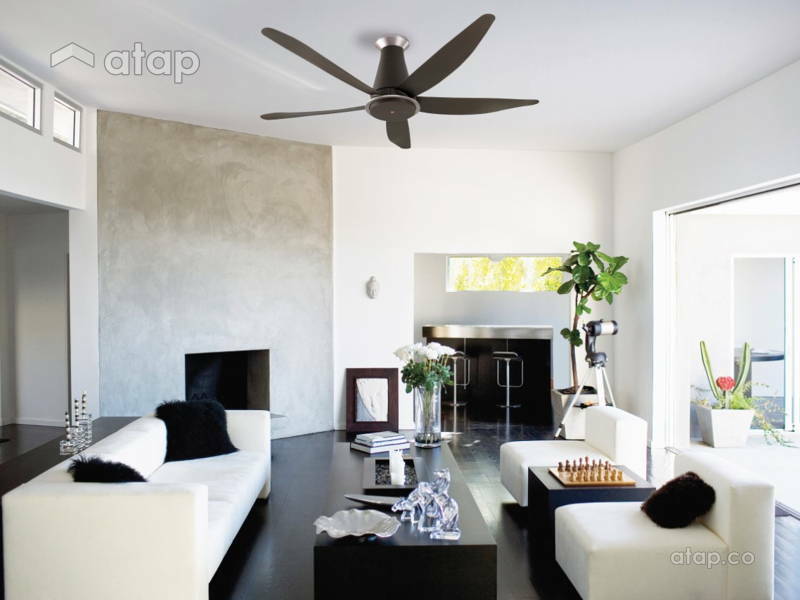 Ceiling fans, however, are designed to be seen and match a room’s décor. They may come in various finishes (glossy, wooden, matte, etc) and colours such as the KDK Kaze which comes in a contemporary-looking matte brown. Its blades are equally compact and sleek, with a tapered-design pipe to complete the modern look. The winner: Beauty is in the eye of the beholder, but if you’re looking for an appliance that can complement your interior design, then opts for a ceiling fan. Use ceiling fans 80% of the time to circulate air, save cost, and reduce consumption. 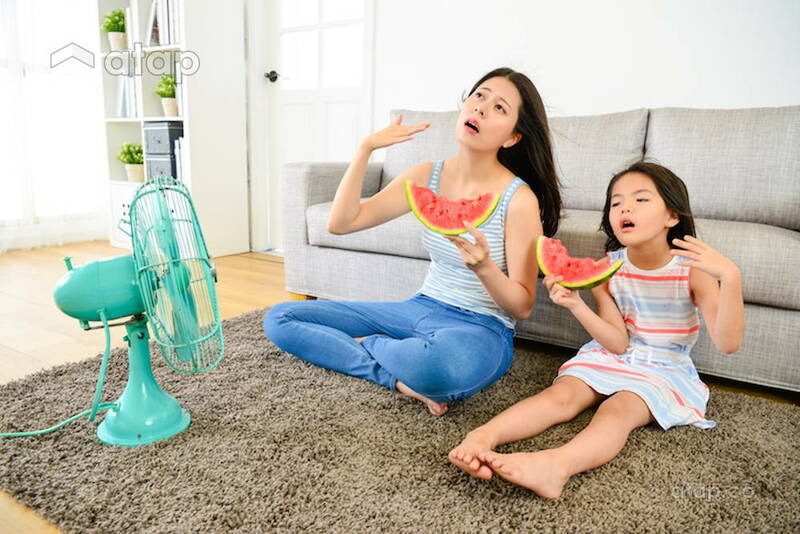 When it gets too hot, you may use an air conditioner to cool the room down before switching it off and using a ceiling fan to circulate the air. KDK’s Kaze fan is thoughtfully designed with the 1/f Yuragi function. It creates a breeze which mimics the feel and rhythm of natural breeze, optimising comfort levels. Other smart features include its safety cut-off switch and thermal safety use which cut off power supply if excessive wobbling occurs from worn-out parts. To top it off, its 9-speed control on a LCD screen remote is very cool, in both senses of the word.